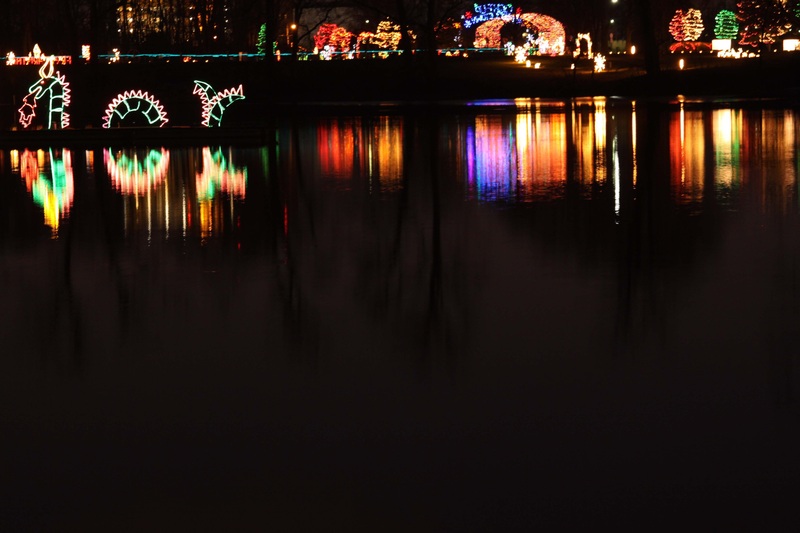 Light Up Middletown, Middletown’s annual dazzling spectacle of lights and colors in Middletown’s own Smith Park, will run from the day after Thanksgiving, November 23 through New Year’s Eve from 6 p.m. to 10 p.m. The event is open every night, regardless of weather conditions or holidays. The display is expected to attract approximately 65,000 visitors this year. Admission to Light Up Middletown is by donation, the price is decided by however much guests would like to donate to the event. A beaver cutting down a tree and a herd of elegant deer will join the many other displays in Light Up Middletown this year. To go along with the tradition of Light Up Middletown, hot air balloon pilots will present a balloon glow on Thursday, December 6 if weather conditions permit. The snow/rain date would be December 13. As part of the ongoing effort to be as “green” as possible and to enhance the beauty of the lights and displays, the Light Up Grandpa Gang is busy changing over 22,000 light bulbs in 16 of the 60+ displays to LED bulbs. This volunteer corps begins working in mid-October erecting displays in the 100-acre park for its November debut. Grants from the Middletown Community Foundation and the Perry Thatcher family along with donations made at the Light Up Middletown entrance tunnel have been used to purchase LED bulbs, new displays and to begin a fund for future building expansion.